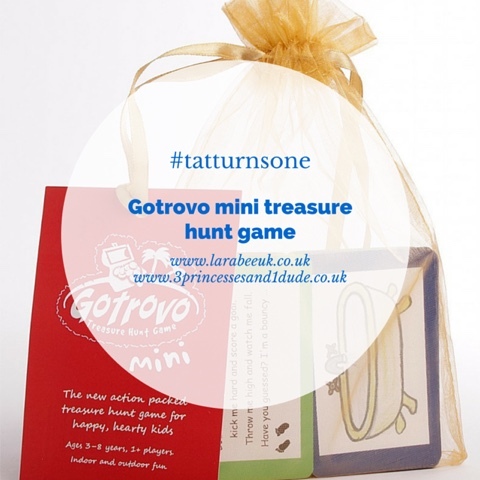 Day 4 of our fabulous #tatturnsone giveaway's and today we have a gotrovo mini treasure hunt game for you. Suitable from 3+ it's perfect for one child or parties of children and great for indoor and outdoors! We have got one and can highly recommend, T loves following the pictures on the cards to follow the trail. You can find more gotrovo products on their website.